Building on the enhancements made to the Alfa Romeo Mito range last year, the carmaker is adding two new models to the line-up. The Junior and the Progression will appeal to new sectors of the market. The Progression is an entry level vehicle model which comes with a high spec including air con, touchscreen infotainment system and alloy wheels. There’s also Bluetooth connectivity and a range of safety features including vehicle dynamic control, tyre pressure monitoring and seven airbags. To help increase its popularity, the Alfa Romeo Mito Progression comes with a choice of engines including a 1.4 litre petrol unit that produces 78HP and should return around 50mpg. The Junior also has a good specification and a choice of either a 0.9litre TwinAir turbo petrol engine producing 105 HP or a 1.3 litre JTDM turbodiesel unit producing 85 HP. The TwinAir unit should return around 67mpg while the turbodiesel unit should see owners enjoying 81mpg and having CO2 emissions of 90g/km. Economy is aided by a stop and start function. Alfa Romeo says its Mito Junior has been inspired by the legendary GT 1300 Junior which was launched in 1966 and went on to become a bestseller. Buyers were attracted by the eye-catching styling and a smaller engine to help make this one of the most popular Alfa Romeos ever made. As mentioned previously, Alfa Romeo thoroughly revamped the Mito range in 2014 which led to a much improved interior and a better 5 inch touchscreen entertainment system. Some models also come with TomTom satnav. The exterior was also enhanced with a few subtle changes and the standard equipment improved and the number of engine options increased. Prices for the new models of the Alfa Romeo Mito, which are available now, start at £12,760 OTR for the Progression and £14,870 OTR for the Junior. 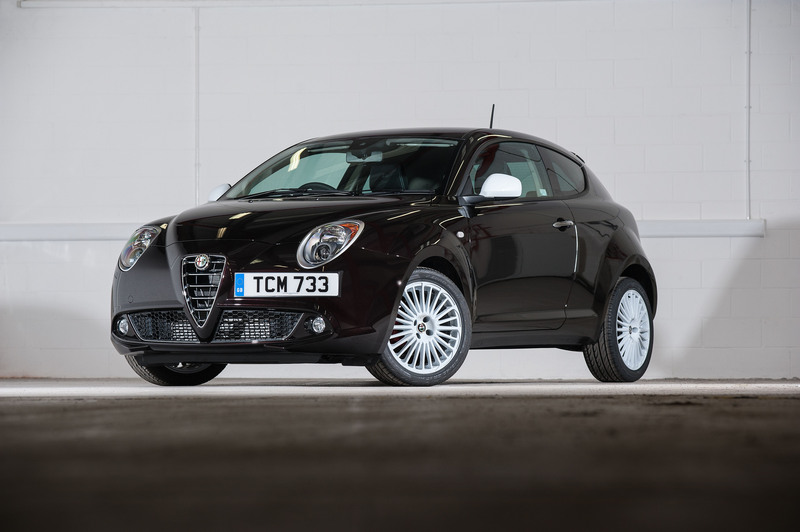 There’s no doubt that the new low entry price for the Alfa Romeo Mito will help to attract people wanting a car with a legendary name at a price that offers decent value for money. The Alfa Romeo Mito handles well and is a comfortable car to drive over long distances so anyone opting to buy the Progression or Junior will find a well-equipped car offering fun and enjoyment in a great package and – as many people will be tempted – it will also be an Alfa. This entry was posted in Car Leasing, Car Updates & Releases, Cars, Popular Cars, Sports Car by Steve Lumley. Bookmark the permalink.